Maureen Brandom, 63, of Glendale, Hemel Hempstead. Drink driving with 76 microgrammes of alcohol in 100 mililitres of breath (limit is 35) in Hemel Hempstead on February 20. Banned from driving for 18 months to be reduced by 18 weeks on completion of a rehabilitation course, fined £140, £20 victim surcharge and £85 costs. Liam Jake Gaastra, 20, of The Heights, Hemel Hempstead. Knowingly received stolen goods in the form of a TomTom sat nav belonging to a woman in Hemel Hempstead on December 16. 12 months conditional discharge and ordered to pay £15 victim surcharge and £85 costs. Jayne Knight, 49, of Hemel Hempstead Road, Redbourn. Driving without valid insurance in Redbourn on June 27. Eight points on licence and fined £100, £20 victim surcharge and £40 costs. Imre Nagy, 24, of Marchmont Arms, Piccotts End. Speeding at 48mph in a 40mph zone in Hemel Hempstead on September 6. Three points on licence and fined £200, £20 victim surcharge and £85 costs. Robert James Duncombe, 25, of Verney Close, Berkhamsted. Breached a community order by failing to attend unpaid work on August 24 and November 16. Fined a total of £100 and ordered to pay £85 costs. Ian Albert Trustram, 33, of Tenzing Road, Hemel Hempstead. Breached a community order by failing to attend unpaid work on January 22 and 27. Ordered to pay £40 costs. Alan Robert Cook, 69, of Beechfield Road, Hemel Hempstead. Speeding in a 30mph zone in Harpenden on September 4. Banned from driving for six months and fined £200, £20 victim surcharge and £85 costs. Qasam Iqbal, 21, of Bennetts End Road, Hemel Hempstead. Driving unsupervised with only a provisional licence and without valid insurance in Hemel Hempstead on September 5. Eight points on licence and fined £600, £60 victim surcharge and £85 costs. Manharbhai C Patel, 53, of Fouracres Drive, Hemel Hempstead. Two counts of speeding at 37mph in a 30mph zone in Hemel Hempstead at 12.03pm and 14.07pm on August 28. Total of six points on licence and fined a total of £200, £20 victim surcharge and £85 costs. Sarah Elizabeth Willock, 49, of St Anthonys Avenue, Hemel Hempstead. Speeding at 49mph in a 40mph zone in Hemel Hempstead on September 5. Three points on licence and fined £135, £20 victim surcharge and £85 costs. Richard Berger Benson, 63, of Chipperfield Road, Kings Langley. Dangerous driving in Rickmansworth on November 24. Jailed for six months suspended for 12 months, 180 hours unpaig work, banned from driving for 18 onths and ordered to pay £80 victim surcharge and £85 costs. Kayley Laura Harrison, 27, of Gadebridge Road, Hemel Hempstead. Drink driving with 106 microgrammes of alcohol in 100 mililitres of breath (limit is 35) in Warners End Road, Hemel Hempstead on January 29. Banned from driving for 25 months to be reduced by 25 weeks onc ompletion of a rehabilitation course, fined £500, £50 victim surcharge and £85 costs. Barclay John West, 44, of Mendip Way, Hemel Hempstead. Assaulted a man by beating and used threatening or abusive words or behaviour in Hemel Hempstead on November 28. Ordered to pay £60 compensation and fined a total of £110, £20 victim surcharge and £620 costs. John Joseph Pio McDonagh, 18, of Three Cherry Trees Lane, Hemel Hempstead. Stole 10 containers of engine oil to the value of £277.84 belonging to a BP garage in South Mimms on November 17. Community order including 60 hours unpaid work and ordered to pay £60 victim surcharge and £400 costs. Kyle Martyn Lockyer, 27, of Treslilian Square, Hemel Hempstead. 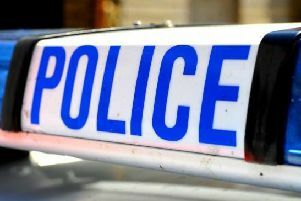 Assaulted two police officers in Hemel Hempstead on September 21. Fined a total of £420, £21 victim surcharge and £620 costs. Jocelyn Beatrice Contato, 36, of Ranelagh Road, Hemel Hempstead, Herts. Speeding at 51mph in a 30mph zone in Hemel Hempstead on October 13. Six points on licence and fined £465, £46 victim surcharge and £85 costs. Gail Lynette Bell, 58, of St Albans Hill, Hemel Hempstead. Drink driving with 58 microgrammes of alcohol in 100 mililitres of breath in Rickmansworth on February 26. Banned from driving for 15 months to be reduced by 15 weeks on completion of a rehabilitation course, and fined £700, £70 victim surcharge and £85 costs. Kamil Chrzanowski, 26, of Taverners, Hemel Hempstead. Failed to provide a specimen of breath when asked to do so by police in Watford on February 26. Banned from driving for 19 months and fined £195, £20 victim surcharge and £85 costs. Ashley Michael Ewen, 27, of Waterside, Kings Langley. Drink driving with 122 milligrammes of alcohol in 100 mililitres of blood (limit is 80) in Kings Langley on December 23. Banned from driving for 14 months to be reduced by 14 weeks on completion of a rehabilitation course and fined £300, £30 victim surcharge and £85 costs. Paul Andrew Keys, 38, of Helston Grove, Hemel Hempstead. Possession of a small amount of cannabis in Hemel Hempstead on January 28. Fined £92, £20 victim surcharge and £85 costs. Jamed David Boothby, 24, of Humbers Hoe, Markyate. Possession of a small amount of cannabis and used threatening or abusive words or behaviour towards a woman in Hemel Hempstead on January 21. 12 months conditional discharge and ordered to pay £100 compensation and fined £70, £20 victim surcharge and £85 costs. Samuel John Hailey, 23, of Ranelagh Road, Hemel Hempstead. Used threatening or abusive words or behaviour in St Albans on November 15. Fined £115, £20 victim surcharge and £85 costs. Jack Saul Roberts, 24, of Alldicks Road, Hemel Hempstead. Used threatening or abusive words or behaviour in St Albans on November 15. Fined £350, £20 victim surcharge £85 costs. Jonathon Sears, 23, of Hollie Drive, Berkhamsted. Breached a community order by failing to attend unpaid work on November 28 and 29. 10 hours added to unpaid work requirement and ordered to pay £85 costs. Alex Butler, 18, of The Fairway, Abbots Langley. Sexually touched a girl aged 13 in Abbots Langley on March 3, 2014. Community order including four weeks curfew and six months supervision, and ordered to pay £60 victim surcharge. Paolo Black, 65, of Oatridge Gardens, Hemel Hempstead. Driving without wearing a seatbelt and with a child also not wearing a seatbelt in Chorleywood on July 10. Fined £90, £20 victim surcharge and £200 costs. John Francis Fitzgerald, 38, of Snatchup, Redbourn. Breached non-molestation order by contacting a victim on November 5. Fined £110, £20 victim surcharge and £85 costs. Matthew John Blythe, 37, of Waveney, Hemel Hempstead. Failed to properly declare the transfer of a vehicle in Hemel Hempstead on October 17. Fined £200, £20 victim surcharge and £90 costs. Robert Graham-Follett, 33, of Bohemia, Hemel Hempstead. Failed to properly declare the transfer of a vehicle in Hemel Hempstead on October 29. Fined £200, £20 victim surcharge and £90 costs. Scott Stoneman, of Pickford Road, Markyate. Failed to properly declare the transfer of a vehicle in Markyate on December 8. Fined £200, £20 victim surcharge and £90 costs. Sean Fraser Walker, 26, of High Street, Markyate. Failed to properly declare the transfer of a vehicle in Hemel Hempstead on October 7. Fined £200, £20 victim surcharge and £90 costs. Kate Elizabeth Bowles, 34, St Johns Road, Hemel Hempstead. Stole products to the value of £176.86 on February 27 and other items between January 30 and February 20 from Sainsbury’s in St Albans. Fined £370, £33 victim surcharge and £85 costs.